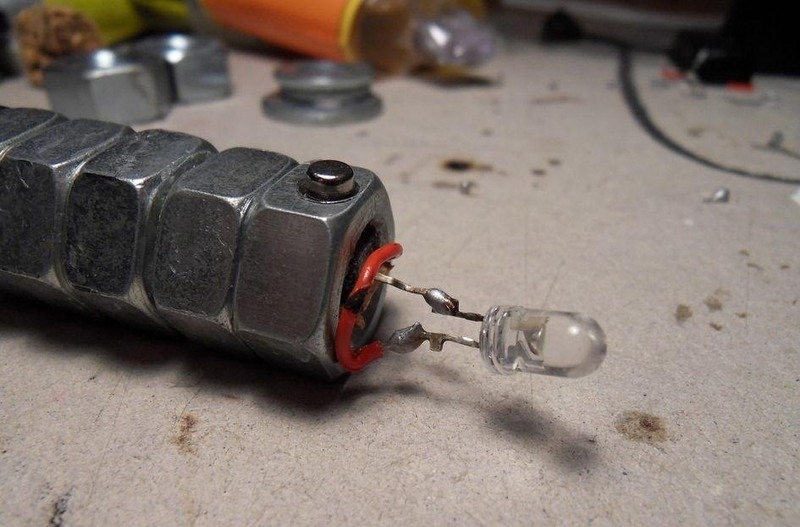 A flashlight is one of those things you rarely need, but hardly ever have when you do. 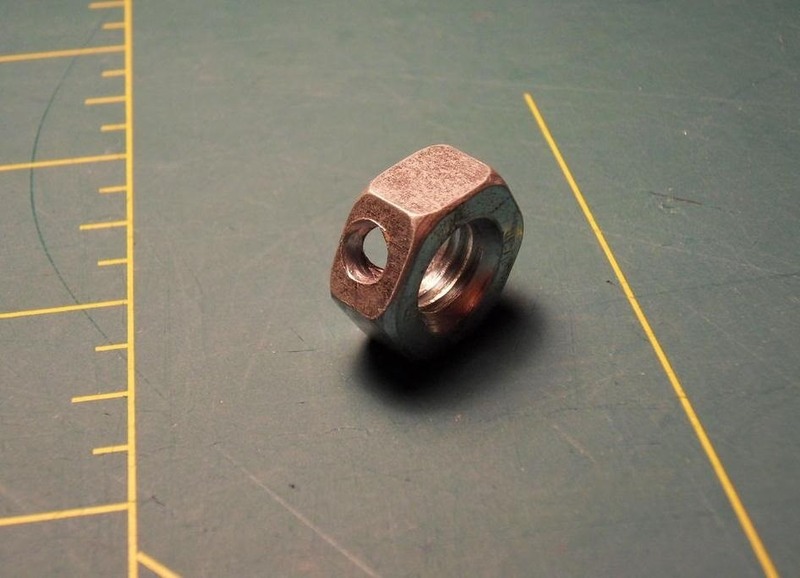 The normal-sized ones are unwieldy to carry around, and the small ones that you keep in a purse or car are easy to lose. 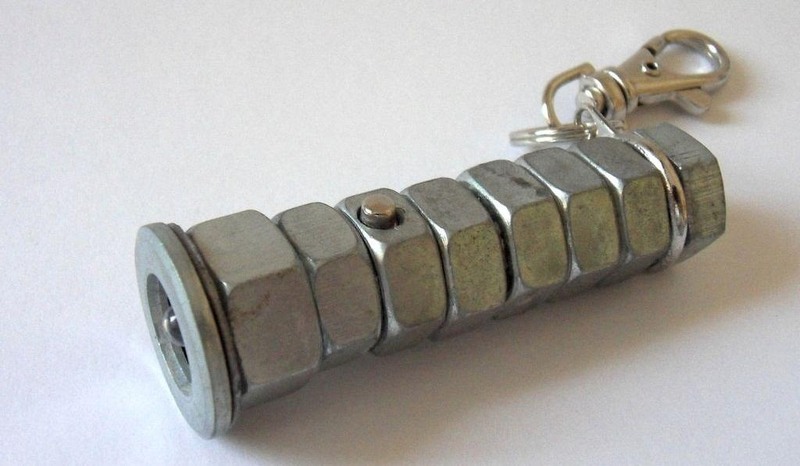 You can solve both of those problems and get the best of both worlds with this tiny hex nut keychain LED flashlight made by Instructables user sjroth. It's small enough to not take up much space, but the keychain will ensure that you never misplace it (unless you lose your keys—then you're on your own). After drilling holes to make space for the switch, button and battery, sjroth super glued the switch in place and added a wire that attaches to the positive end of the battery. 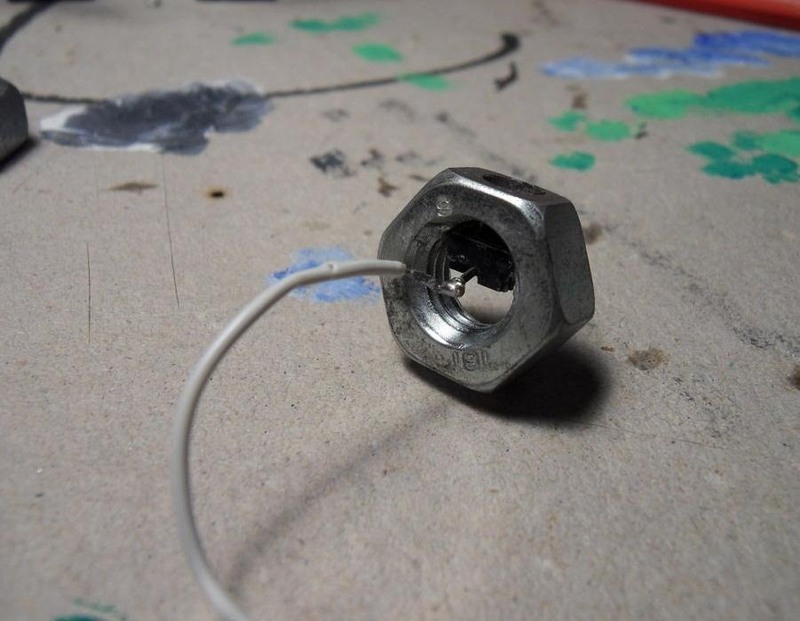 He then rolled up a piece of paper to insulate the battery and glued all of the nuts together using epoxy (but he says silver solder would work better). Finally, sjroth added the LED. He used electrical tape for insulation (although heat-shrink tubing would be a better choice), then soldered on the LED and added a few washers to the front to hold it in place. For more details on how to build your own, be sure to check out sjroth's tutorial for the step-by-step process and photos.